Meh. It would have been great! Grate! for Tesla and SolarCity anyway… oh well. I guess there’s no longer any covfefe between their set of interests. He’s wrapped up in the Silicon Valley bubble of progressive leftism. Not his smartest move. I don’t know about smart moves, but it is not like he had much choice in this. I think that continuing to play along with the weaponized stupidity that the current administration exhumes regarding this matter would have hurt his interests much quicker. Elon says climate change is real. Bob Bigelow says UFO’s are real. You boldly go into space with the visionary billionaires you have, not the ones you wish you had. I see no evidence, other than his hewing to the Climate Change cult, that that is true. Over the years, Elon hasn’t really given very much to politics and Republicans have gotten more of that than Democrats. I think Musk is largely apolitical. But, for some reason, he has drunk deeply of the Global Warming Kool-Aid. Go figure. He also wants to keep getting invited to all those cool Hollywood parties. Look at the businesses he is in. He doesn’t just drink the Kool-aid, he sells it. I’m not quite understanding what all the furor over the U.S. withdrawal means as far as climate impact. The U.S. generates a bit over 14 percent of the combustion-related CO2 on the planet. China alone generates twice as much. I see nothing at all in the U.S. withdrawal that prevents China and other nations from continuing whatever they were going to do to reduce emissions under this agreement. What’s wrong with the Paris Accord without the U.S? Why the screaming and wailing? Is it that the real goal of the agreement was the transfer of billions of dollars from “developed countries” to eager recipients around the world? And that most of that money was going to end up coming from the U.S.? This is the only thing that makes sense. The U.S. isn’t the largest polluter as a nation, and it hasn’t been for a while. U.S. CO2 emissions have stabilized, and are going down. As far as world levels go, those nations remaining in the Accord–especially China–are far more relevant. So what other reason for all the angst except that all that money is leaving the table? Because as usual, we were going to foot the bill for the rest of the world to freeload on the agreement while not having to do effectively anything. Mean ol’ Donald cut the gravy train off for the whole international rogues gallery of the Climate Change industry and all the governments that were looking forward to their check from Uncle Sam getting bigger. Actually, given the mounting evidence of how much the PRC is underreporting their emissions, it’s pretty certain they account for even more of it. Similar to disarming yourself in gang country because of gun violence. And under the Paris Accord China, and India, as “developing” nations get to pollute as much as they want. One reason among many it was a bad deal for the USA. He probably didn’t have a choice if he didn’t want the “Green Mafia” to order a Telsa and SolarCity boycott. But he probably doomed any chance of President Trump using NASA to fund his Mars flight. Yep, take their money away and the will always scream. Exactly. President Obama knew it was against the interests of the U.S., which is why he never requested it be ratified, but instead just ordered government agencies to follow it under an Executive Order. SolarCity and Telsa are not in position to with stand the “green mafia” boycott that would have resulted if he didn’t resign. He is not as free as he used to be. > This is the only thing that makes sense. Soooo….we’ve managed to cut emissions, so nothing to worry about, nothing to see, we don’t have to do anything more….don’t worry, be happy….? money is leaving the table? Um…I think a refutation has to actually include information and evidence. I suspect you didn’t do well in debate class. As yet, no one anywhere I’ve brought this up has come up with a plausible non-financial reason why our withdrawing from the Accord screws it up for all the other nations, or prevents them from taking action without us. If you’re complaining that the U.S. is taking the ball and going home, you’re going to have to explain what the “ball” actually is. And the only thing it could be is the cash. So you want evidence to refute groundless claims for which you failed to provide any actual evidence. All right, I’m out of here…. Really? Are you so sure of that, 90% of Germany’s Leopard 2’s mothballed or scrapped? I don’t have the numbers in front of me, but I have pretty clear memories that most of those tanks were transfered/sold to Poland, Finland, Norway, Austria, Portugal, and the Netherlands. Given that those transferrals to Poland replaced T-72s I’d be willing to say that NATO was not weakened much at all considering that the transferals to Norway, Finland, and Poland put those Leopard 2’s much closer to the Russian border than they would be in Germany. I’m sure you’re also aware that Germany is developing a replacement for the Leopard 2 in order to address the issues raised by the T-14 Armata. The “groundless claim” is that without the United States in the agreement, the whole thing falls apart and apparently no other nation can reduce their own emissions otherwise. Without the U.S., which emits 14 percent of the the world’s man-made CO2 emissions–a number that is dropping while other nations’ outputs are skyrocketing–the world ends in fire. This is what I’ve been hearing for days. My hypothesis that it’s actually about the wealth redistribution in the Accord covers the facts. Does yours? Or do you even have one? Actually that is accurate if you read the text of the Paris Accord. The USA and EU must cut emissions immediately and pay billions to emerging nations to help them install non-fossil fuel energy. But China and India, as emerging economies, are allowed to continue to increase the amount of CO2 they release until 2030. Both are planning to double the number of coal power plants they have by that date. Indeed, by then, if current trends in continue, China will have over four times the number of coal powered plants that are in the USA, where most coal power plants are, because of economics, switching to natural gas. China is also build a number of new coal power plants in Pakistan to jump start their economy and CO2 emissions. The coal miners that are going back to work actually are not mining coal for the USA, but mining it to export to China which doesn’t have enough to power all the coal power plants its is building. Those mining jobs would continue to be created even if the USA stayed in the Paris Accord. Platts BTW is a major and long time reliable news source for the energy industry. Pulling out of the Paris Accord is NOT going to change the trend to replace coal plants in the USA with natural gas plants and non-fossil fuel. Its driven by economic and market forces independent of the Paris Accord. It just save America from bank rolling the creation of new competitors in foreign nations. The key issue here is that the opponents of President Trump’s decision are still focused on the science of climate change happening, while the decision was made based on the economics involved and the predicted economic impact of the agreement versus the predicted potential economic impact of climate change on the economy. The charts show that CO2 emissions peaked from the USA in 2005 and have been declining since as a result of economic and market trends that are independent of the Paris Accords. The decline is expected to continue as the USA transitions naturally to post fossil fuel economy. By contrast China’s emissions have doubled since 2000 and are project to be increasing. China past the USA as the largest emitter of CO2 in 2008 and has just gone on setting records. From the CDAIC website at DOE. The president’s speech, annotated by an energy expert who knows what he’s talking about. Trump’s approach to the climate accord, NAFTA, NATO etc. is merely his business practices wrapped up in populism. Trump is notorious for hiring contractors and suppliers and then stiffing them when the bills come due. After the work has been done or the product supplies, he decides that it’s not up to standards. He refuses to pay or wants to renegotiate a better deal. If the contractor doesn’t like it, then he’s happy to go to court. This is a terrible approach to operating in a multi-polar world. Everything becomes binary where Trump needs to win at all costs while everyone else loses. Alliances and agreements become transactional rather than strategic. It makes it very difficult to lead and for others to follow. 1) our emissions per capita are still among the highest. 2) We account for a disproportionate share of the C02 already in the air. We’ve been a big emitter for a long time. 3) It’s difficult to solve any a collective action problem when a large player (2nd in this case) decides to shirk. It’s especially hard to tell poor developing countries to avoid high-carbon energy sources when a wealthy country like ours where the marginal cost as a share of total expenditures is quite small. For the first half of the article, Victor repeatedly states that the U.S. doesn’t actually have to follow the agreement’s goals, so all the penalties and losses of jobs Trump itemized are imaginary. Victor doesn’t explain why a non-binding agreement that he says the U.S. is going to ignore anyway, is somehow threatened if the U.S. isn’t actually in it. But eventually he gets around to the money. First, he explains that the U.S. commitment of $3 billion is “much less per person” than Norway. “Per person” or “percent of GDP” contributions are no less misleading than “per capita” pollution in terms on national policies. The actual numbers are what matter. Although they also push the “per capita” meme, we can see that the U.S. is signed up for almost 30 percent of the total $10.2 billion amount by itself. This is typical of all similar climate “deals.” One assumes that when the $100 billion goal is discussed, the U.S. will be stuck for at least $30 billion of it, and probably more. So why are people like Victor upset at the U.S. leaving? Sorry, but any direction you look at it from, it’s the money. I don’t think that would have happened anyway. Mr. Musk will get to Mars on his own. The lack of government money isn’t even likely to affect the timing of said event by much. You say all that like they’re bad things. And yet, for some odd reason, I prefer Trump’s actual approach – and I would even prefer your cartoon burlesque of it – over the sackcloth-and-ashes, “Please sir, may I have another,” approach to U.S. foreign policy of the Obama administration. Trump has put the world on notice, including many of our near-useless NATO “allies,” that the U.S. is through being the world’s ATM machine. No, he doesn’t. Many of his criticisms of Trump, in any event, have nothing to do with his alleged area of expertise. Bottom line is, he just doesn’t like Trump’s politics. Quel surprise! The Germans haven’t really taken the NATO treaty seriously since the USSR imploded. And under Clinton and Obama they were given a free pass to pretty much ignore their obligations. Bush 43 should have done something about that, but he thought – incorrectly – that he needed NATO in Afghanistan. Some of the newer, smaller NATO counties did, indeed, punch well above their weight in A-stan – and even in Iraq, which was above and beyond their Article 5 obligations. But the German “effort” in A-stan was farcical. Their rules of engagement were, in essence, “Don’t get shot at, and, if you do, run.” The German presence in A-stan was more like adventure tourism than a real military deployment. Considering we had to transport them all there and then back again when they decided matters were getting a little too real on the ground, we’d have been better off just letting them stay home in the first place. Same thing pretty much applies to all the “rear echelon” NATO states. As these fat, dumb and happy places aren’t going to be of any real use should the balloon go up anent Russia, the least we can expect from them, in the meantime, is that they make up their arrears and stay current on their payments. He didn’t say the U.S. govt is going to ignore the agreement anyway. He said the targets were unrealistic by the deadline and would need to be adjusted. That doesn’t mean that you ignore the accord but rather it would take longer to reach the targets than planned. Why are people upset? Global warming is a real problem. It’s a threat to everyone. The U.S. needs to be involved in addressing it given the size of its economy. Whatever the flaws in the accord, simply walking away from it without a serious plan to address it is not the solution. 1) I don’t blame them for not taking it seriously, up until the price of oil spiked and Russia had free funds to reconstitute her military, NATO could enjoy the peace dividend. I don’t blame them for doing it. After Georgia and Ukraine, it’s time to wake up. 2) Afghanistan. Again, I don’t blame them. We did not know what we were doing there, and we still don’t. That they did not know what they were doing comes as no surprise. 3) Arrears? You don’t think that NATO countries actually pay us money do you? Behind in payments for what? The 2% rule is to pay 2% of your GDP on defense as you see fit and how that integrates with NATO. It’s a promise to execute an internal policy. It’s not like the US promising money to the UN and then not paying up. 4) Can we not depend on Western NATO to come to the fore for Eastern NATO? Maybe not, but that’s still not the world we live in. The Russians are trying to integrate into the Western economies on their terms, not invade. Not yet. That can change. When the world approaches that, I expect the attitudes of Western NATO will move. I’d expect the UK, Norway, Denmark, the Netherlands, and Germany to fall in line. France will want to be SuACEUR, and the Italians will prepare to change sides if it suits them. Finland and Sweden will enter into some sort of alliance with NATO, or flat out join. 5) Sorry for going off topic. 1) It’s been ten years since Georgia and three years since Ukraine. I see few signs of “waking up” among the rear-echelon NATO states – hence the verbal rump-kicking recently administered by Pres. Trump. The Poles, the Balts and the other new NATO nations in Russia’s “near-abroad,” of course, never went to sleep in the first place. They’re also a lot closer to the 2% number. Some are actually in excess of it. So are the Brits. But then the Brits have always elected to have a real army, not simply a place to dump chronically unemployed youth as a kind of social program as is done many other places in Europe. 2) Afghanistan has certainly been poorly handled in a lot of ways. But more usable manpower early on would have helped. Our NATO allies were not, for the most part, terribly helpful in that respect. The nations bordering Russia turned out early and in what were, for them, large numbers, but these are mostly small countries. The Brits were there in force early on and have stayed. Germany, in particular, took its jolly sweet time showing up, wasn’t a bit of help once it did and has since departed. If Germany required the return of its troops to handle, say, the influx of Islamic invaders it currently harbors one might reasonably have made allowances. But that, of course, wasn’t the situation at all. The single biggest U.S. mistake in Afghanistan – the same as the biggest U.S. mistake in Iraq – was standing up a national government far too quickly. That might have made some sense if the late Ahmed Shah Massoud had still been around to head it up, but he was assassinated by Al Qaeda three days before 9/11. As in Iraq, the national government proved mainly an impediment rather than a help to on-going U.S. efforts. The other mistake made in Afghanistan was to confine U.S. military operations strictly to Afghanistan. Al Qaeda and the Taliban don’t respect national borders and cycle their people back and forth between Afghanistan and Pakistan pretty much at will. The Pakis do nothing to stop this. We should have made it clear to Pakistan, from the outset, that if they were unable, or unwilling, to control their own territory, we would do it for them. We should still do this. There is no road to victory in Afghanistan that does not include pacification of the present Pakistan sanctuaries. To kill the enemy, one must go where he is – that’s basic. 3) I know how NATO works. I was using the terms “arrears” and “payments” in a metaphoric sense. That most NATO countries, especially the big ones – the U.K. notably excepted – have been failing to meet their agreed-to defense spending obligations for decades is not in any serious dispute. This needs to change – especially given Russia’s reversion to its age-old habits of late. Pres. Trump was entirely correct to point this out. He was also entirely correct in not being particularly pleasant as to how he phrased the rebuke. Being pleasant has gotten us nowhere to this point so a sharper tone was clearly warranted. 4) Russia’s actual interest in “trying to integrate into the Western economies on their terms, not invade” is problematical. Personally, I don’t see any evidence of this being true. The Russians were happy enough to take a lot of naive Western investors to the cleaners by “opening” to the West in the wake of the USSR’s demise – then effectively expropriating their enterprises a few years later once the assets were in place. That’s not invading in a literal sense, but it’s definitely on the same continuum of behavior. The Russians, frankly, are thugs and thieves. The country has amply proven that it is incapable of being housebroken and of playing nicely with others. The Russians need to be whipped back into their kennel and kept there until they die of terminal cultural exhaustion – which they have made a good start at doing. NATO is a necessary part of the New Containment. 5) The specific topic was the Paris Climate Accord. But U.S. relations with NATO is not so much off-topic as it is a parallel topic. Actually most of the tanks to Finland and Norway were from the Netherlands which decided to demobilize its only armor division. Although Germany sold a number to Poland, it also send a number to Peru and Chile. According the article Germany only has 225 left in service, 325 if they bring a 100 out of mothballs, about 10-15% of their original total of 2, 125 tanks. What is interesting is that once you plow through all the political rhetoric in his blog post he basically shows President Trump was right in his assessment while refusing to admit it. From his comments on the speech. pledge of cutting emissions 26 percent to 28 percent below 2005 levels? So the key difference in opinion between this blogger and President Trump is that the blogger feels the USA should have stayed in the agreement, cheerfully given billions of tax payer dollars to the emerging economies, let China and India get away with increasing their levels of pollution, and just announce the U.S. would not meet the reduction goals that President Obama agreed to. In short, to continue the admire the Emperors New Cloths. Whereas President Trump see it for what it was, a “feel good” agreement that penalized the USA, and raided its taxpayers, without really addressing the problem. So after reading his commentary on the speech it just enforces the viewpoint that President Trump was willing to make the hard decision and take the flak for it. The targets are voluntary. They can be adjusted. And that’s exactly what the analyst said should — had to — be done. The agreement allows you to do that. He did not advocate Trump withdrawing the U.S. from the agreement. Global warming is real. It’s a serious problem. We have to deal with it. NOW! Walking away from the agreement is not a solution. Pursuing domestic programs that will take regulations off coal, oil and emissions is not an appropriate response. This is not responsible policy making. There’s no creativity there. There’s no thought to what we need to do for our children and grandchildren. It’s bereft of anything in terms of long-term vision. This is Trump in microcosm. He’s notorious for backing out of agreements without viable alternatives. Ask any of the contractors and suppliers who ever worked for him. He decided he didn’t want to pay for the work once it was done. To get their money, creditors would have to sue him. Some would go bankrupt or get close to it. And he doesn’t give a crap. If the contractor goes under, if they can’t get their money after the casino goes under, he doesn’t care. Just so he ends up ahead in the end. That’s been his approach to climate accord, NAFTA, NATO, TPP, health care, etc. He has to win, everyone else loses. You can’t do that all the time in international relations. Legal obligations become unclear to partners. Everything becomes transactional instead of strategic. It’s a crazy strategy. 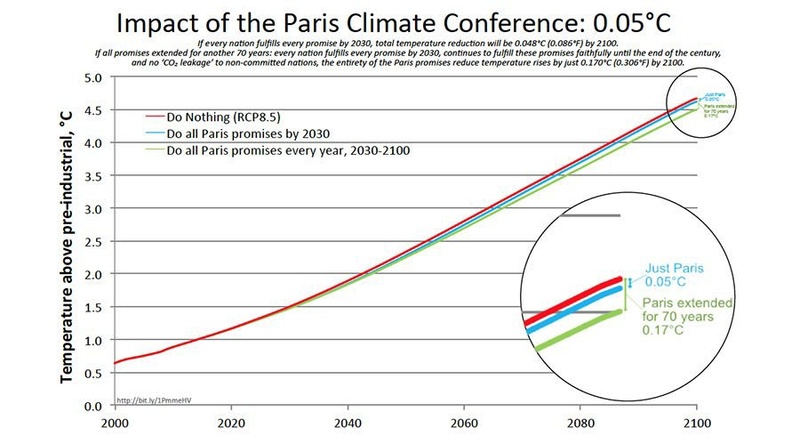 Bad deal for the world since CO2 will continue to climb. We can still make the RIGHT changes. For starters, a tax on all our consumed goods/services based on where the worst part/service comes from. Simply need to measure with a sat and normalize with emissions / $ GDP. Watch this. You guys might learn something. To be fair, one of those things has research to back it up. The other one, not so much. look at the data from OCO-2. It is obvious that they are MUCH MUCH higher than just double what America puts out. That is why we need OCO-3. It would give us precise measurements of CO2 flow in and out of all regions/nations/states. A nation should not be held accountable for what flows in, but only what they generate. That is a big problem with measuring the way that we do. And with China’s gov constantly lying about what they mine,import, and use (and other nations do as well), it only makes sense to use a sat to measure this. Oddly, America is the one nation that can possibly get EVERY NATION, including America and China, to lower their emissions at the same time due to the fact that we are the world’s largest importers. Too old to serve, but, I have talked to other troops/marines that have served with the Germans and they said the exact opposite of what you claim. They said that they were just as willing to engage as ours were. co2 / capita is a joke. Where are the emissions coming from? First and foremost, from electric plants. Now, who decides about electric plants? Gov and businesses. You and I get VERY LITTLE say and in nations like CHina and India, ppl have even less say. So, how about transportation? Well, until Tesla developed a decent EV, none of the other car makers were willing to do so, and that esp includes all western car makers. Only now with the Model 3 will we see a major impact be made on society. Oddly, CHina is also pushing EVs, which will make their emissions and pollution go up more since they are 80% dependent on coal and refuse to run pollution controls. So, you and others have had very little say on our transportation (my wife drives a tesla, so we have had some say, though minor). And commercial businesses such as iron making, Fertilizers, concrete, etc? Again, you and I have little to no say on it. SO, the idea of per capita is nothing less than insane. OTOH, $ influence businesses and gov. As such, emissions / $GDP makes a LOT OF SENSE. 2) the BS about our total emissions is also a joke.America did not get started with coal until around 1850-1870, which is when they like to document it going back. Yet, they ignore the fact that prior to this, that both Europe and CHina burned ENORMOUS amounts of coal. Basically, if we accept the idea that CO2 accumulates and remains for long period of time, then you have to add in the PREVIOUS burning, which few of them do. There are so many issues with those numbers that it does not begin to make sense. For example, prior to WWII, Europe was the manufacturing center and had many more times the coal plants that America had. And yet, the numbers claim that America emitted more going all the way back to 1870. Not likely. The fact is, that last year, 28% of our electricity came from coal. Just 8 years prior it was 50%. By end of 2018, it is expected to be around 20%. Now, we replaced a lot of coal with nat gas, which is much better, but still failing. However, most of the future replacements of coal and even nat gas, will be AE,and HOPEFULLY nukes. The new 10-15 MW wind turbines going up costs about the same as the 5MW turbines from 2005 costs, but, not only are they higher wattage, but are higher and are in winds that blow better than 50-60%. The old smaller 5 mw wind turbines do about 33% in most of America (they have less than 20% in CHina due to their massive pollution). These are going to replace most of the coal plants after 2018. Hopefully, not too many because we need true base-load that we can depend on, which can really only be nukes, geo-thermal, maybe some more water. And of course, America will be buying the most EVs next year. We will likely buy some 250-400K new model 3. Add in the other 250K and America goes to the top. The point is, that not even trump can force America to go backwards even though he will try.. As such, America’s emissions will continue downward like it has for the last 8 years. In fact, for the last 6 years, America has dropped the most each year (though if normalized to $ GDP, we are in top 5,but not leader). The real problem will be that CHina will continue to grow their emissions more than what the entire west will cut ours by. Even now, China plans to continuing to add 30-50 GW of new coal plants until 2030, at which point, they will be at 1.75 GW of nothing but COAL PLANTS. First, as I have noted before, I accepted human caused global warming in the 1970’s which is why I supported nuclear power when the environmentalists were denying the science behind building nuclear plants to reduce pollution. As for the Paris Accord, its hard to understand why anyone who cares about global warming, and did their research, would support it. Again, read the text of it. It allows China, the world’s largest source of CO2 to INCREASE WITHOUT LIMITS its CO2 emissions until 2030. It currently has plans to double the number of coal powered plants in that time framework, meaning it will double its emissions. – How does that combat global warming? LIMITS all CO2 emissions until 2030. Nations like Pakistan are planning dozens of new coal plants, many being built by China – How does that combat global warming? But these provisions it basically puts the seal of approval on increasing CO2 emissions for decades in the future. In terms of the USA, and EU, it requires them to reduce emissions in amounts that are achievable without harming there economies while also requiring them to reward the emerging nations that are increasing their emission with billions of dollars. It is nothing but a sham, that makes folks believe it addresses the problem when it doesn’t do so. That is why President Obama refused to submit it to Congress for ratification, the hearings would have been too revealing. Its also why the USA was NEVER bound to it as a nation, because under the Constitution, Article 2, Section II, Clause 2 (The President] shall have Power, by and with the Advice and Consent of the Senate, to make Treaties, provided two thirds of the Senators present concur) the Senate has to ratify such agreements. All President Obama did was issue an Executive Order requiring government agencies to follow it. From the Washington Post. 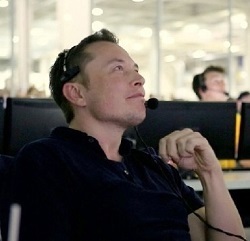 In his GQ interview in the following year, he noted there is a window of opportunity when the technology necessary to send astronauts to Mars becomes available; however, it could rapidly be shut down because of religious extremism, anti-technology movements or the eruption of a third World War. Musk sees the colonization of Mars as a moral duty to ensure the survival of mankind the same way a USB drive is meant to preserve data in case a computer crashes. A Martian colony could guarantee humanity survives in the event of a debacle that destroys life on Earth. “You back up your hard drive. Maybe we should back up life, too?” he asked. He is right about Trump actually. Do we really want to democratize space and colonization? I don’t think he should have jumped ship. Elon never though much about Space Based Solar power–but he could have jumped at the chance to get the now-freed up foreign aid money that was part of the Paris accord. He should have seen this as an opportunity.